To be honest, this is an odd one. Cardamom isn’t a staple in our kitchen and while we love potatoes, our mash is usually made with white spuds, not sweet potato. Throw some zingy pepper relish on top and it’s even more out of our usual repertoire. Let me tell you: this is strange, but it does work. The ingredients themselves are common enough, it’s just the combination that’s unique. Each country, culture and religion has an idea of what is lucky and what is unlucky. In the US, having a black cat cross in front of you is bad luck (I had a black cat for years and had very good luck). In Italy, being pooped on by a bird is buona fortuna – good fortune. 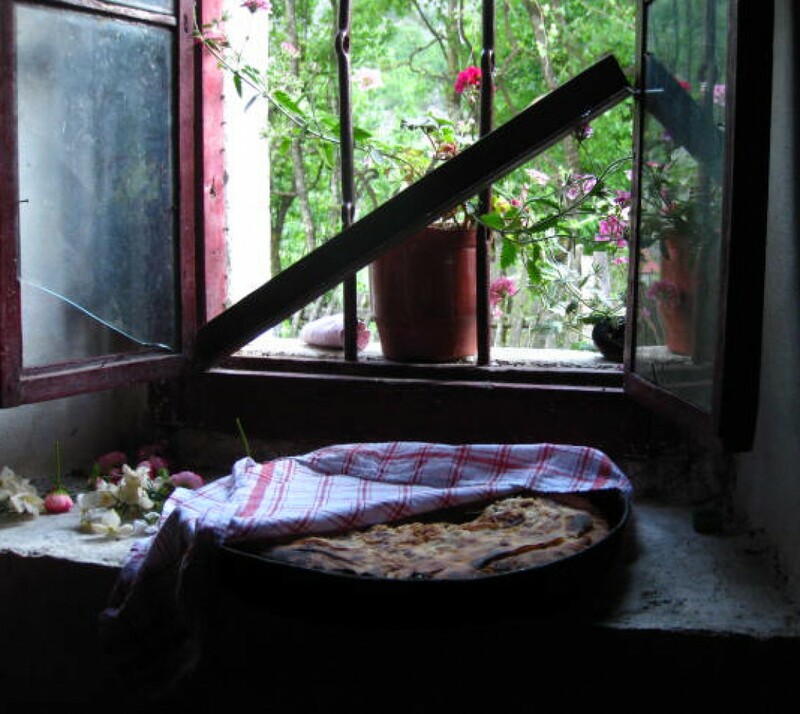 In Albania, having good dreams your first night in a new place is a sign you’ll enjoy your time there. To many, Friday the 13th is unlucky, so why not bring some international luck to the day? ‘Go Canucks! Go!’ is what I was thinking a few weeks ago. No, I’m not Canadian, but visiting Vancouver on a hockey game day meant I had to cheer for the Canucks in their play-offs. I don’t really care about sports or even who wins. As long as it’s a good match, I’m fine with it. But while traveling, sometimes watching a sports match is the most authentic and unique cultural experience you can have! Just be sure to cheer for the right team. Geographically, Egypt has it all: Sahara Desert, Nile Valley and Red Sea. The stunning landscapes of the Pyramids of Giza, the Valley of the Kings and the metropolis of Cairo are along Egypt’s version of ‘tourist strips’. The Nile River becomes the country’s main drag and tourists float up and down from Abu Simbel in the south to Alexandria in the north. There is a lot to see and much of it is, indeed, along the Nile, but by stepping off the tourist trail, visitors can be rewarded with sights and experiences all to themselves. Iris & Ruby is a book with two stories. On one side, we have Ruby, a rebellious teenager, who leaves her family in England to seek refuge in Cairo with her grandmother Iris, who is practically a stranger. On the other side, we have Iris, 82 years old at the time of Ruby’s arrival, remembering different parts of her younger life. In Ruby’s time with Iris, both women are pushed to their limits. Ruby grows more mature as she spends more times with Iris and Iris sees Ruby’s teenage passion and remembers her own youthfulness. Egypt is an exciting place. Even tasks as simple as crossing the street turn into a dangerous game of Frogger. A short taxi ride can become a long detour and end being chased by an angry taxi driver who didn’t get paid for the hour’s drive that should have taken 20 minutes. One casual night in a cafe turned from backgammon and tea to a police-monitored scene. At this back-alley cafe on a warm Egyptian night, I witnessed the most simple and effective fight I’ve ever seen.